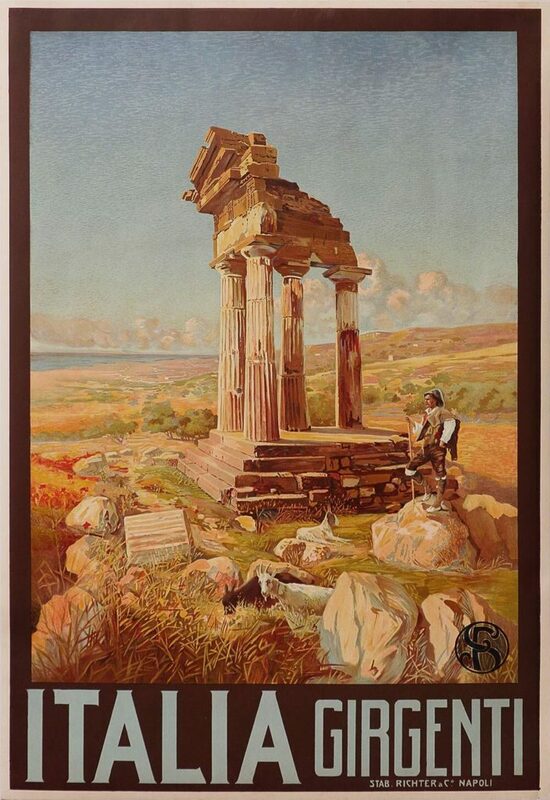 The ancient Greek city of Akragas is depicted in this printing tour de force. The Sicilian city of Agrigento is seen in the back ground. Great clean original color with no restoration on this one. Linen Backed.